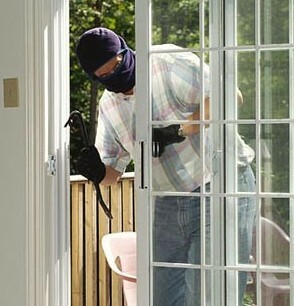 In countries across the world, thieves break into homes and steal possessions from the homeowners. In fact, an estimated 3.7 million burglaries occurred each year on average from 2003 to 2007. All Some do this when the residents are gone, but others do it when the residents are there, endangering their safety. – Attempted forcible entry is when someone tries to break into a home but fails. – Forcible entry is when someone successfully breaks into your home – usually by breaking through a window or a door. – Unlawful entry without force is anytime someone enters a home they have no legal right to be in. Completed burglary includes any unauthorized entrance into a residence, with or without force. All of these are serious crimes with corresponding criminal penalties. Unfortunately, those penalties often don’t deter robbers and other intruders. That is why is it critical for everyone to take matters into their own hands and set up a security system for their house. Most people presume that security systems are for homes only. It is true that if you rent an apartment your landlord probably won’t let you hardwire a top of the line system through the walls. However, there are quality wireless systems available. If you are currently renting those are worth looking into. You can also get quality motion detectors which trip alarms. That way if an intruder breaks into your living room, you can get an alert in your bedroom and silently text 911 after you lock your bedroom door. With help on the way, you can barricade your bedroom door and make a live call to police or building security as well. When you own your house you have many more options for home security systems, because you can get anything you want to installed. It is best not to attempt to do this yourself, but an ADT authorized dealer can easily get it set up for you. 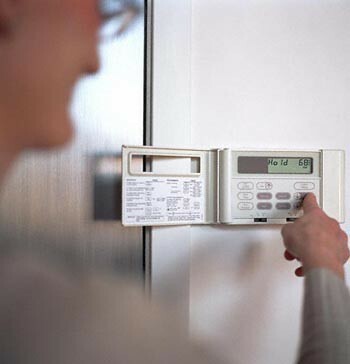 Having a professional take care of it ensures that your home protection needs are covered. A professional will also know the specific ways to wire everything through different parts of homes, like wood and brick. When deciding which kind of security system you want for your home, you will undoubtedly want to take your budget into consideration. Figuring out exactly how much you can spend to protect your valuables and yourself is a good starting point. When you have that determined, the next thing to look at is where you live. Location How many break-ins are there in your area? Your local newspaper’s crime section undoubtedly provides up-to-date reports on burglaries. Reading those several days in a row can give you a very good sense of how likely incidents in your neighborhood are. You can also look into what time of year they may be most common. For example, thieves might be inclined to attempt robberies most often in the Summer, when they figure homeowners are most likely to be away enjoying outdoor activities. Vacations Of course, if you go on vacation, a robber who lives in the area can easily notice that your car is gone and view your house as unprotected. Luckily, having the right security system means that your house is always protected. You just need to choose the right features to keep your home, possessions, and family safe. Special Features Cameras are a popular part of many systems that people choose. They allow you to view exactly what is going on in all parts of your home. If someone breaks in, you can see where they are and avoid them as you call authorities. The motion sensors previously mentioned can also detect the presence of intruders and automatically call your security service and the police. Additionally, those sensors can set off loud alarms and lights which scare off the criminals and alert your neighbors. What kind of security system is best for your home? Which features will be most important to include? This is a post by Nate Miller, an occasional guest-blogger and a full-time communication and safety consultant. Currently, he represents Quortek, a US based home security specialist. Nate likes to read a lot about modern communication and psychology in his free time, as well as going abroad and discovering new places all over the globe.